I love when God uses my kids to bring conviction to my heart. My oldest son, who is 11, has worked toward something this school year that I wasn’t sure he could do. 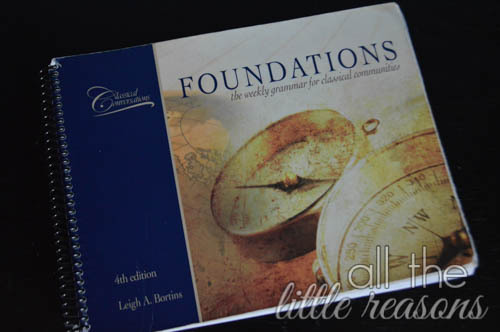 We use a curriculum for homeschool called Classical Conversations. He is testing for what we are calling Triple Memory Master, which shows that he has mastery over three years of material. Every question correct. Not one wrong. There were a small group of kids that even had the ability to try this – less than ten. The criteria we established was that they had to be in their last year of CC’s foundations program, and they had to have been Memory Masters of a single cycle before. Of that group, some said no right away, because they had too much on their plate, or because the goal seemed unreachable. The rest agreed to work toward it and came to the reviews. There were some that bailed early on in the process, once they saw the enormity of the task. Some made it almost to the end of practices, but couldn’t wrap their minds around how to accomplish something that big. One other child chose to go for it with my son. They pushed their current cycle’s Memory Master test up two weeks in order to give themselves a bit of extra time to study for the preceding two cycles. They worked their tails off, trying to bring this data back up to the forefront of their minds. They had extra study sessions together and spent hours studying alone. They made flash cards and pictures and all sorts of aids to help them remember the information. Today they became Triple Memory Masters. They finished well, striving for excellence, completing something few would even try.